During the long, hot, summer days of my childhood I would stay with my Grandfather while my parents worked. 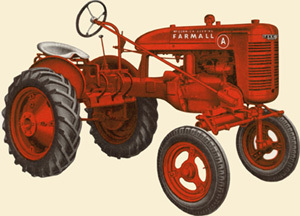 Every year he would roll out the old Farm All tractor that looked like it rolled off Noahâ€™s Ark;Â it was the kind with the crank on the front.Â We would then plant a three or four acre garden.Â The tractor had a mechanism that seed could be loaded into and we planted corn, okra, cucumbers, squash, etc. Then as the weeks passed, little green sprigs would pop from beneath the soil, getting taller, taller and taller.Â Then there would be a blossom of various colors, and eventually vegetables.Â The wonderful part of the summer was when we would walk through the rows of plants and there beneath a leaf would be a mature okra, or among a tall stalk an ear of sweet corn â€“ we would carry buckets full of vegetables to the house to be cleaned, stored for the winter, but best of all â€“ to be enjoyed for dinner. 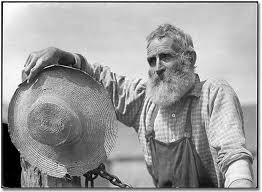 Being a farmer is hard work.Â It requires an enduring work ethic, many hours of sweat, and the ability to solve problems. But most importantly, being a farmer requires patience.Â What if the second day my grandfather would have looked out over the freshly plowed and planted field and yelled, â€œWhere are my vegetables?â€Â â€œI quit farming.â€Â Many Christians after trying to reach their neighbors, family or community for Christ just quit simply because it is a difficult task. You can go to the frozen section of the grocery store, or even better go to a restaurant and order vegetables â€“ but someone else raised them â€“ you are enjoying food someone else raised.Â Being apart of a church is not about eating the fruits of someone elseâ€™s labor â€“ itâ€™s about all of us being in the field and together reaping a harvest. In Mark 4, Jesus’ parable is taking us into this world of agriculture when he says â€œA farmer went out to sow his seed.â€Â Life is too short not to have ever sat around a table, feeling exhausted from a hard day in the sun, and sinking your teeth into a delicious ear of corn, or fried okra, or steamed cabbage that you grew.Â Christ calls us to not only plant a crop of seeds in the field, but to stay around long enough, and to stick with it long enough to see the harvest mature. Before you die, I want you to have a story of how you were apart of seeing a person receive the seed of the gospel, and you worked with them long enough to see them blossom into a mature reproducing Christian.Â Â Not that you stood at a distance and watched, or heard others tell their story â€“ but you were the farmer who sowed the seed, you were the one who worked with the plant until it was mature.Â I want you to have enjoyed the banquet at the table.Â Â I want you to see the vision God has for your life. Among the many things that he taught using stories or parables the writer of this gospel selects one about a farmer who went out to sow seeds.Â In Matthew 4:17 Jesus said, â€œRepent, for the kingdom of heaven is near.â€Â Just as there is an urgency to go fishing as fisherâ€™s of men, there is also an urgency to scatter the seed of the gospel. â€œA farmer went out to sow his seedâ€ â€“ First, recognize that the farmer is actually in the field, sowing seed.Â He is willing to work for the harvest.Â Before the farmer can ever know what his harvest will look like, he has to first step foot into the field.Â He has to trust that by doing the work of casting seed, he will have food to eat in the weeks to come.Â Â There is no harvest, if you donâ€™t step foot in the field. There has only been one time in my life when someone came up to me and asked, â€œAre you a Christian?â€ and I said yes, and we went on to discuss salvation and the things of God.Â All the other years and millions of other people that pass me every day, require that I initiate contact with them. We must be willing to “go” and plant the seeds (Matthew 28). Jesus describes how four different types of people respond when the gospel is shared with them.Â All four responses are different. Â 1.Â Â Â Â Â Â Â Â Hard Soil â€“ â€œsome fell along the path and the birds came and ate it upâ€ Farmers and travelers walked in between fields by traveling along paths that zigzag across the landscape.Â Because of this traffic the ground became very hard.Â The seed never was able to penetrate because of the hardness of the path, and birds came and ate the exposed seed. Jesus explains this verse by saying in verse 15, â€œ15Some people are like seed along the path, where the word is sown. As soon as they hear it, Satan comes and takes away the word that was sown in them.â€Â Because of the hardness of their hearts, Satan is able to take it away as soon as it is sown.Â This is why prayer is so important â€“ we must pray that people hearts will be softened and prepared for the seed of the gospel.Â This person will just outright turn you away. 2.Â Â Â Â Â Â Â Â Rocky Soil â€“ “5Some fell on rocky places, where it did not have much soil. It sprang up quickly, because the soil was shallow. 6But when the sun came up, the plants were scorched, and they withered because they had no root.” â€“ There are some who apparently receive Christ, they seem to be growing in their faith.Â On the outside there are all the signs of a healthy plant, it was growing quickly â€“ there was a promise of a fruitful harvest â€“ but when things heated up, or there was some difficulty, their faith died. The reason it never reached maturity was it did not have a deep root system â€“ the person never had a saving faith in Christ (there was no root).Â There are some who apparently receive Christ but they never had a saving faith and when the heat comes, they deny their faith because it is just too hard, too hot, too much trouble. The next time you encounter hardship for the name of Christ, thank God for it â€“ because through this time you are confirming your salvation by your dependence and enduring under it for Christ. 3.Â Â Â Â Â Â Â Thorny Soil â€“ ” 7Other seed fell among thorns, which grew up and choked the plants, so that they did not bear grain .” â€“ others who have heard the gospel, take this seed and it even begins to grow in their lives, but they are surrounded by things that choke it out. The seed that landed in good soil, or a heart who becomes a genuine disciple is portrayed by Christ as growing, being healthy, and producing a crop.Â One seed has turned into 30, 60, or even 100s. Â One person becomes a believer and when their time on earth is done they leave behind a multiplication of believers. Not simply a one to one ratio, but many. Then that [third] verse says: â€œAnd whereverâ€”every place where your feet trod, that have I given to you.â€Â God gave to Israel that holy land.Â But they had to fight for it every inch of the way.Â Every place they placed their foot was a battle.Â It is much easier, just to stop and stay where you are.Â Are we willing to rally, and fight for every step you take to reach others for Christ?Â Those that fight in war get hurt. 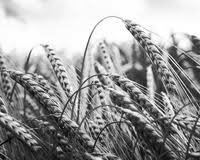 There is no harvest without hard work, but there is also no harvest without disappointment.Â For this farmer he lost three out of every four plants.Â Thatâ€™s three disappointments to every one success.Â How do you keep casting seed, knowing that every three seeds you cast will not make it?Â Because of the one that does. I believe that Jesus gave us this passage of the different types of soils so that we wonâ€™t get completely depressed.Â This passage gives me hope that all our effort, all our time, and resources arenâ€™t wasted.Â Many people believe that unless you have taken a person through a tract, the four spiritual laws, or checked the salvation box â€“ then you havenâ€™t been faithful in evangelism. On some occasions, the Spirit wants me to be an opener.Â I have a hoe and Iâ€™m supposed to break up the hard ground of their heart.Â There may be another person who comes and plants the seed.Â Another time the Spirit may want me to water the seed, and on another occasion I have the privilege of walking them across the salvation line â€“ but only because dozens of others have gotten them that far. In the years that I have been pastoring I have seen what I sometimes call to myself the â€œFoolâ€™s Walk.â€Â Sometime earlier in the week, they had invited someone to come to church and they said that they would be there.Â So there they stands in the lobby, waiting, for the person to drive up.Â The service begins and the pacing beginsâ€”back and fourth, five minutes go by, and then ten â€“ the person never shows. I have played the fool, and if you are faithful in inviting people, you will play the fool too.Â Paul tells us to â€œdo the work of evangelismâ€ â€“ because it is hard work.Â It is hard to put your heart out there.Â You offer grace and love â€“ and they give rejection.Â Know this â€“ there is a person out there whose heart is the good soil and if we keep playing the fool long enough we will reap a harvest. This illustration is not original to me, but I am not sure where it originated.